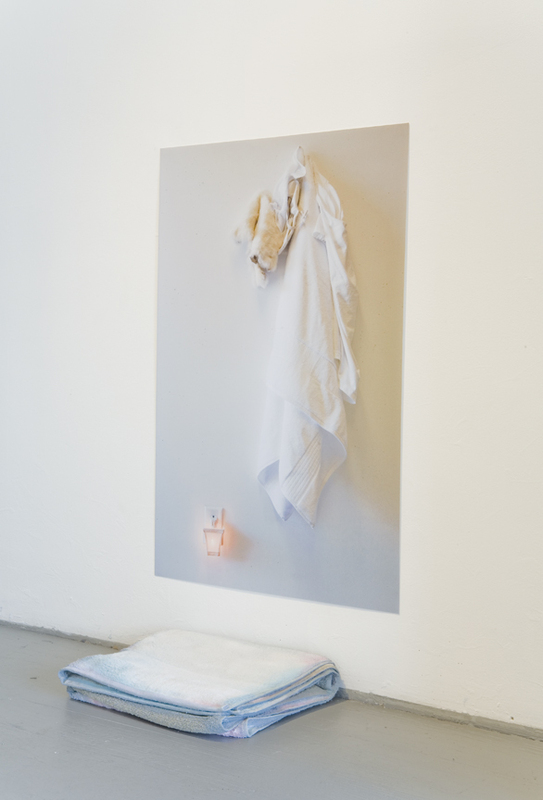 Linking the three artists in this show is their tendency towards the creation of formal compositional arrangements, which are both distanced from and employ the associative qualities of their materials. Ian Pedigo draws from cast off domestic building materials such as Formica and particleboard, natural detritus, and mass-produced imagery taken from magazines and posters. 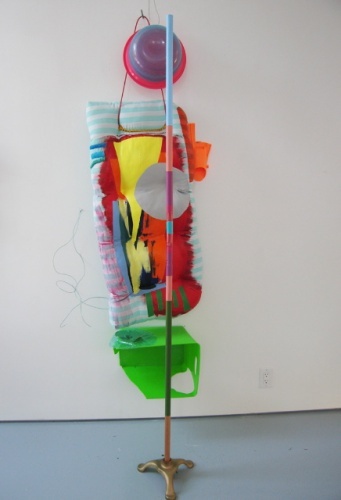 Jessica Stockholder is known for her sculptural compositions made from colorful consumer products, plastic fragments and acrylic paint. David Gilbert arranges elegant still lifes with intimate domestic items. 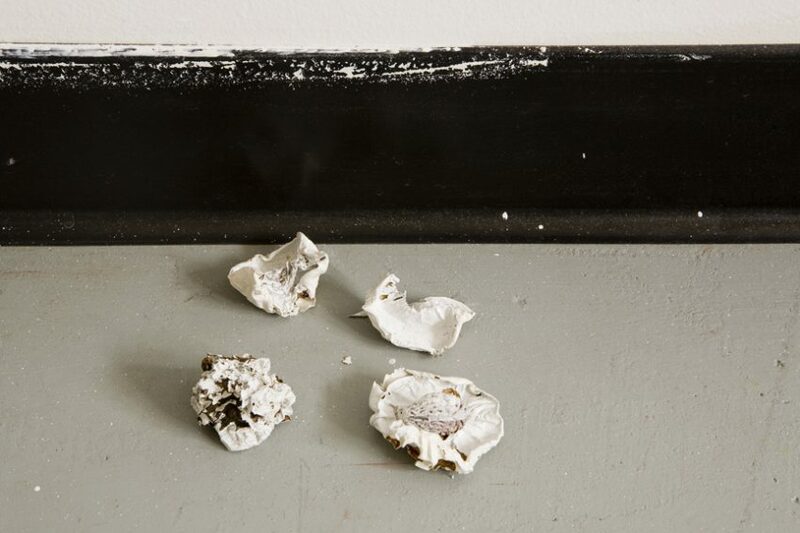 All three artists distance their work’s meaning from the original objects of their making by employing them as formal elements, reduced to color, form, and texture. However, the history or original purpose of those objects is maintained and utilized intrinsically in the reading of the work. Pictorialism is also inherent in these works. Photography, painting, mark-making and drawing are all evident in the framework of the sculptures. 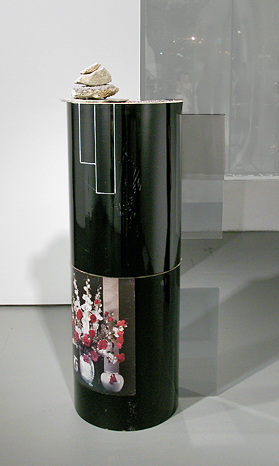 Photographs included by Gilbert recast the objects of sculptural installation into two-dimensional pictures, which are then used as objects themselves. Pedigo incorporates printed imagery and hand drawn mark-making as visual elements in his constructions. 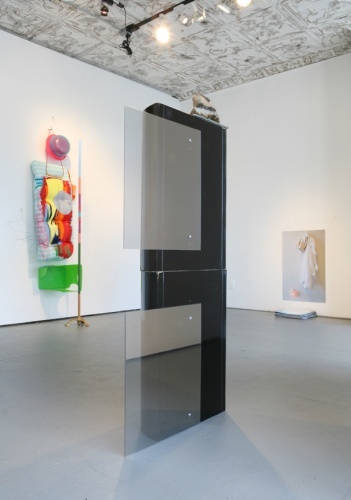 Stockholder uses objects and paint equally as a formal gesture, linking her sculptures to traditions of painting.